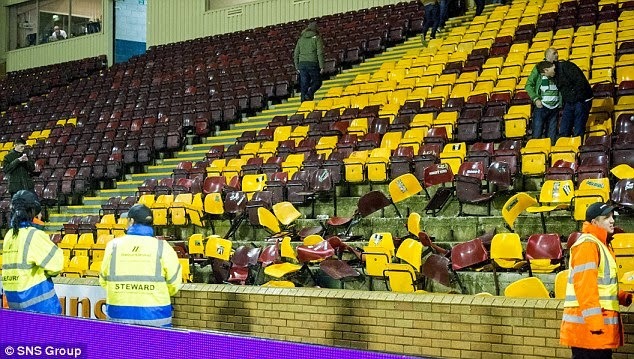 Efe Ambrose celebrated the best day of his life in spectacular fashion – on a night when a 5-0 Celtic win over Motherwell was marred by the actions of visiting fans at Fir Park. 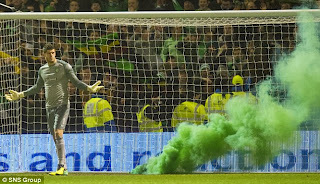 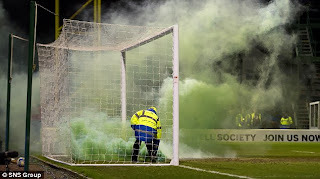 Neil Lennon’s men swept to victory but could yet face disciplinary repercussions, as away supporters in the South Stand damaged seats and let off flares and smoke bombs before and during the game. 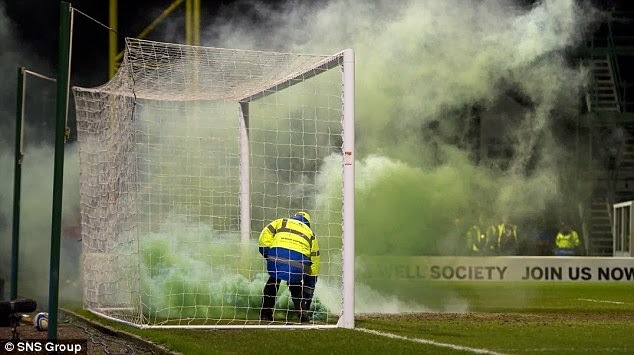 In England, the Barclays Premier League have already launched an official campaign designed to combat the increasing use of flares and smoke bombs inside stadiums. 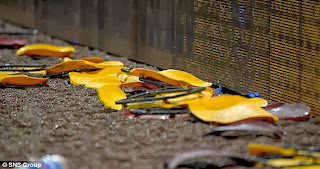 The campaign is a measured response to the unfortunate chain of events at Villa Park in October that led to the assistant referee Dave Bryan being struck by a flare thrown from the Tottenham end during the match between Aston Villa and Spurs.